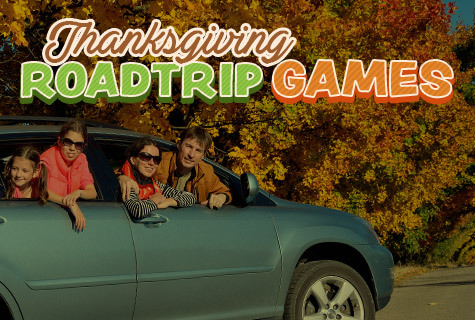 In just a few short weeks, families all across the country will be climbing into the car to head out on the annual Thanksgiving road trip. If this is what you have planned for your family this year, you will need some Thanksgiving road trip games to keep everyone occupied. Plan ahead and let everyone pick out a few of their favorite songs to add to a playlist or burned CD before you leave. Then, each person has to sing along to their songs in their own special way—most dramatic, loudest, and so on. Each person says three things about themselves, except one of them is a lie. Everyone else has to guess which one is the lie. This game is good for younger kids. Everyone looks at road signs, license plates, billboards, etc. to find each letter of the alphabet in order. This game is a good test of everyone’s memory. The first person starts out by saying, “I’m going on a picnic and I’m going to take…” and then they name something that starts with A. The next person says the same thing and then adds to the list with the next letter. If you can’t remember the list, you lose. If your car is in need of attention before you hit the road, or it is time for something new, come visit us at Bradshaw Automotive. Now that November is here, winter weather is right around the corner. That means now is the time to prepare before the icy weather arrives, which it will, even here in South Carolina. 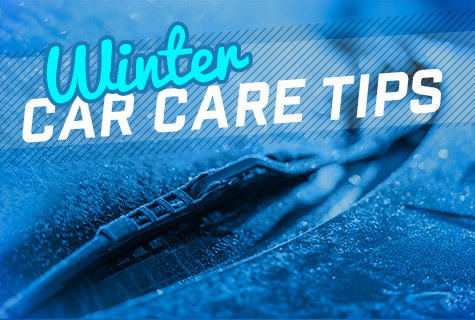 Here are a few tips for winter car care. As the days get shorter, you will be using your headlights more often. Make sure all of your exterior lights are working and angled correctly. In addition, if there is snow on your car, brush off your lights before you start driving. This fluid is immensely important in the winter as it keeps your engine from freezing. Make sure your antifreeze level isn’t low and there are no leaks. To prevent your fuel lines from freezing or to make sure you don’t run out of gas when stuck on the side of the road, keep your gas tank as full as you can. On cold, frosty winter mornings, you will want your heater. Make sure it and your air conditioning still work. Your A/C helps keep your windows clear of fog. Make sure your tires have adequate tread depth. And, if you live in an area that routinely has winter weather below 45 degrees, consider switching to winter tires. If you need any help with your winter car care, schedule a service appointment here at Bradshaw Automotive.